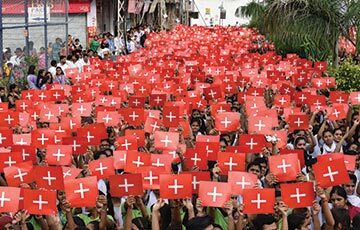 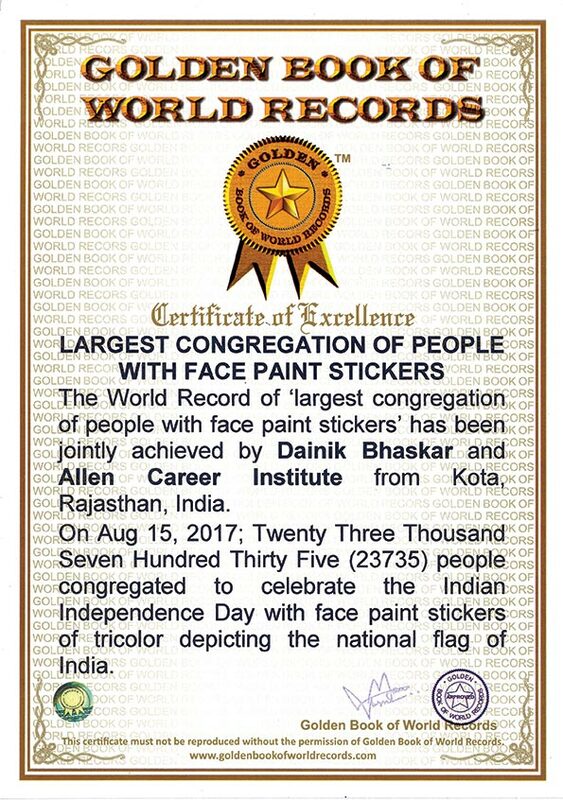 More than 23000 students attended the Independence Day celebrations by wearing a tricolor sticker on their faces. 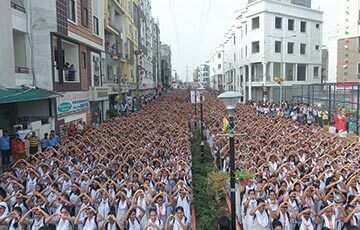 Students simultaneously made heart sign with both hands. 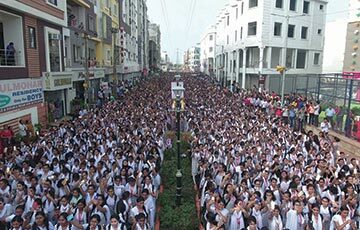 Students appeared with the slogan of ‘Beti Bachao-Beti Padhao’ and took the resolution. 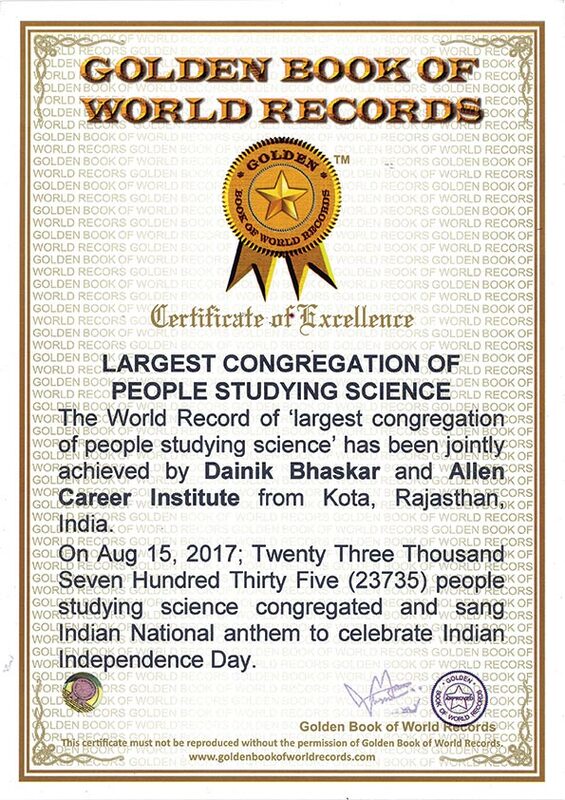 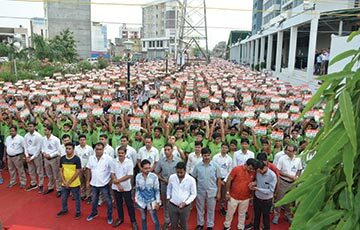 Under Swachh Bharat Abhiyan, students took the pledge of ‘Green Kota – Clean Kota’..
Students simultaneously saluted the National Flag with the mobile flash lights and took selfie with the tricolor.